A surprising speaker series that’s become a global phenomenon is taking root in Canada, one that sees entrepreneurs take to the microphone and share the business lessons they've learned the hard way — through failure. 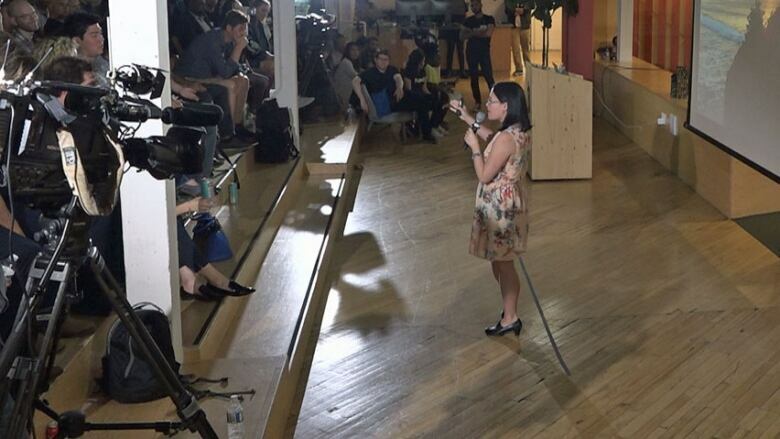 A surprising speaker series that's become a global phenomenon is taking root in Canada. The series, provocatively named F--kup Nights (they don't use dashes), focuses on business and entrepreneurship. It involves people sharing stories in front of a crowd of strangers about making mistakes at work. 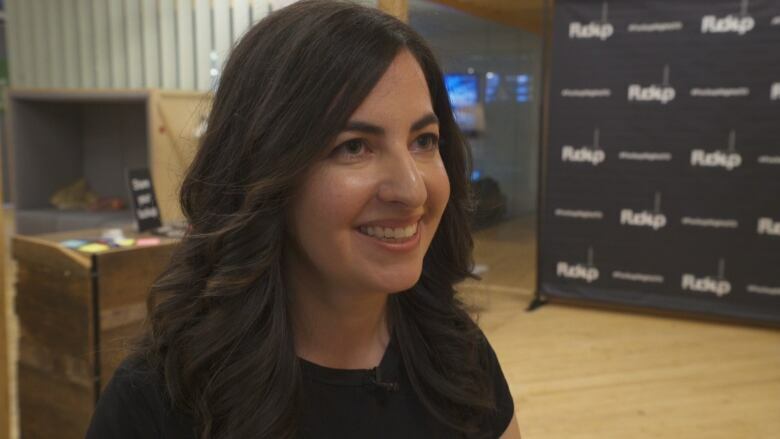 "We're so obsessed with success we only want to talk about the companies and the people that are doing really well — the unicorns of the world," says Marsha Druker, the founder and director of F--kup Nights Toronto. "But there is so much more we can learn from failure." Druker is sharing that observation with a room of almost 200 people, each of whom paid $25 to hear stories of failure from the night's speakers. Druker has organized more than dozen of these events in less than 18 months. The point of F--kup Night events is to create a safe space for people to learn from failure. "The format of the talks is kind of similar to what you would see in a TED talk," Druker said, "so each speaker gets seven to 10 minutes and 10 images to share with their failure story." The key is that the stories truly are about mistakes, not just mishaps or misfortune, and the confessional part is in the speaker taking ownership for what happened. "They really focus on the failure and what went wrong," Druker said. "They also share the lessons that they learned, and really what can the audience take away from it to help them." 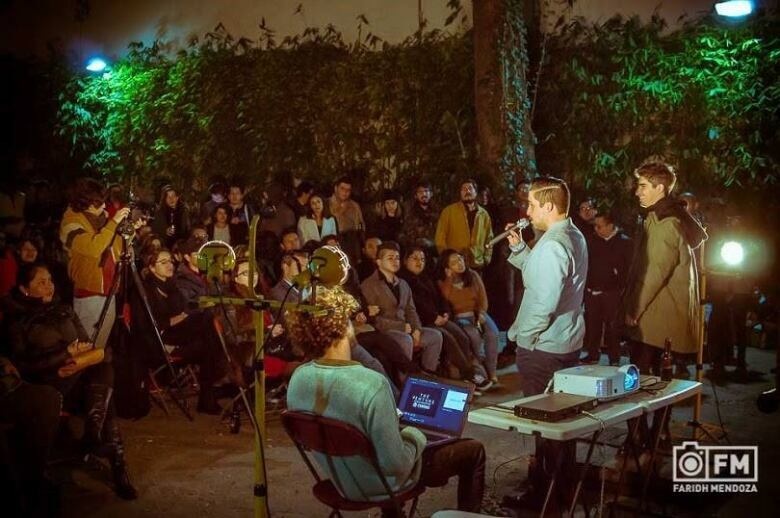 Started in Mexico City in 2012, F--kup Nights has grown to become an international non-profit organization. Events under its name have been held in more than 250 cities and 80 countries. A group of entrepreneurs "were having a round of Mezcal shots and got to talking about some of their business failures," Druker said. The friends realized later it was "the most honest business conversation" they'd ever had. They decided to expand the idea with a bigger group of friends. The concept gained momentum, and Druker herself discovered the series while living and working in Tel Aviv. She started the Toronto chapter when she returned home in 2017. There are eight cities across the country where F--kup Nights groups have been created: Victoria, Vancouver, Kelowna, Edmonton, Kitchener-Waterloo, Toronto, Ottawa and Montreal. The chapters in Montreal, Toronto and Victoria are well-established. Druker's experience is that it's become easier to recruit speakers willing to share tales of personal failures on the job. CBC News sat in on a recent Toronto event, and chatted with some of the speakers. You can watch their performances and get an in-depth look at what they thought of the experience here. Kim Kirton was one of the speakers featured the night CBC News was on hand. She runs a clothing company called UnCo targetting environmentally conscious women. At age 22, she regards making mistakes as part of being an entrepreneur. "It's definitely a process," she said. "I feel like every day there's a mistake or a f--kup happening, but the point of it is to learn from it and move fast and … to not do it again." When her turn to speak came, Kirton told the story of her most memorable screw-up. While her business now operates mostly online, early on in its history she signed a lease for a temporary showroom. But she forgot to get rental insurance, and when her landlord discovered it, she was kicked out. She had to scramble to find a new venue, less than 12 hours before customers were set to show up. She also had to undo all the setup work she'd done at her original location or risk paying a hefty penalty. She managed to find a suitable alternative on Airbnb, and return the original location to pristine condition in the nick of time. The experience was a major blow to her confidence. In addition to wanting to share that lesson to help others, Kirton wants to stop people from being hard on themselves after things go wrong. "I really want people to walk away feeling like, yes, I made a mistake, but it doesn't mean you as a human are a horrible person." 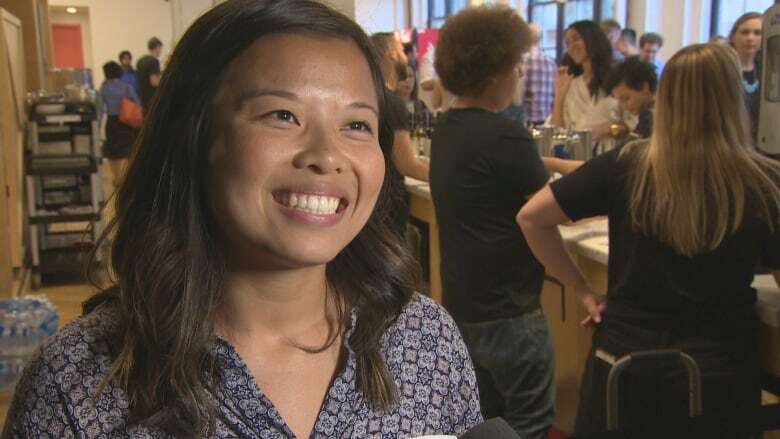 F--kup Nights' Toronto organizer says the event is a big hit with the partners who help support it, including Hop City Brewing and the online retail software company Shopify. Shopify hosts the Toronto events at one of its downtown offices. Druker said the company wants to be involved because "our values align really closely. Both of us are all about entrepreneurs and lifting entrepreneurs up and really encouraging them." Nicholas Maraj was among the diverse crowd taking in the latest Toronto event. "Hearing about people who actually faced failure big failures bigger than I can imagine having and succeeding," he says "that's inspiring stuff, that got my juices flowing." To those who are put off by the provocative name of the series, Druker says it's central to the authenticity of the event. "F--kup Nights is definitely a really edgy name, but we wouldn't change it for the world."